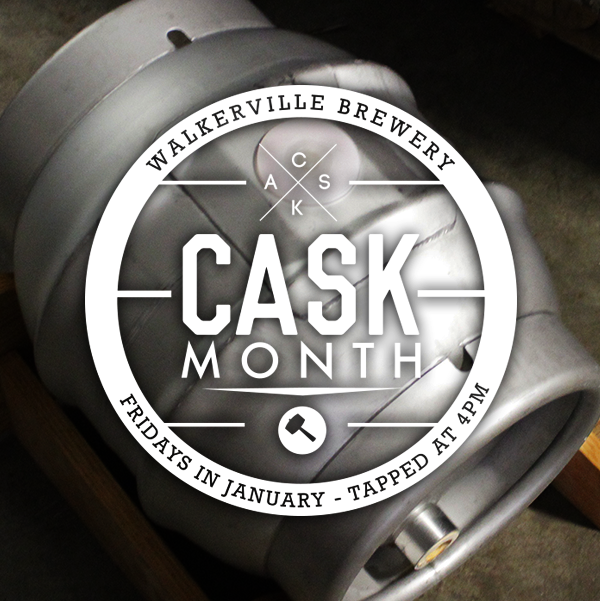 Every Friday at 4:00pm, for the entire month of January, Walkerville Brewery will be tapping a new and exciting cask for you to enjoy! Cask #1 for Friday, January 6, 2017, will be Honest Lager dry hopped with Saaz and Hallertauer Mittelfrüh. Those are lots of German and Bavarian words so it must be really good! This cask will be available for the night by glass only. We’ll announce each new cask every week so be sure to check in again.